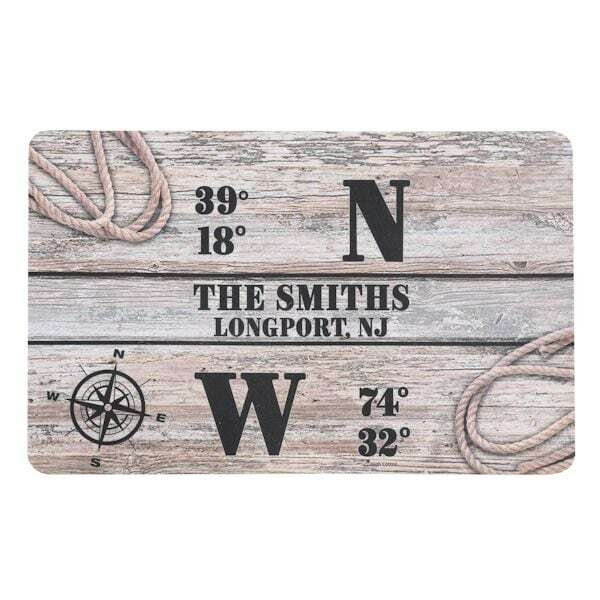 Mark the place you call home, give visitors to a vacation house a geeky welcome, or surprise new homeowners with a completely original housewarming gift. 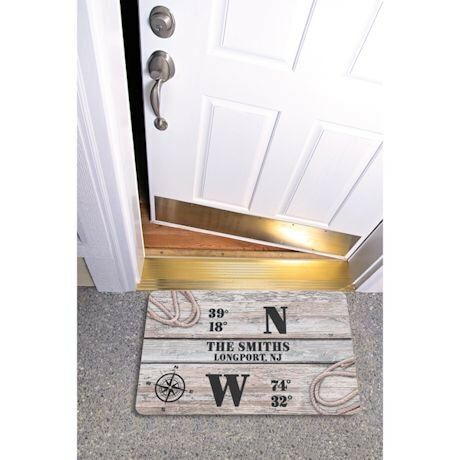 Simply provide a family name (up to 12 characters) (word "THE" is already printed on the mat), zip code, city, and state, and we'll print the exact geographic coordinates to create the ultimate personalized touch. Made of felted polyester with rubber back. 17" x 27". Allow 3-4 weeks for shipping.